Hop on over to Amazon.com where you can snag this highly rated Nespresso Inissia Espresso Machine in silver with included Aeroccino for just $92.99 shipped (regularly $199) – lowest price! This espresso machine features a simple one-touch operation that heats enough water in 25 seconds to brew nine coffees on a single 24oz tank. 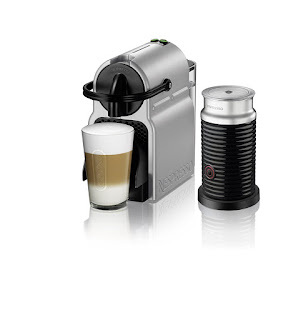 It includes the Aeroccino 3 frother for cold or hot milk, plus an assortment of Nespresso capsules.